That's right! We have a mini release happening RIGHT NOW! Look for sneak peeks today and tomorrow with fresh, new products that will be shipping VERY SOON. So let your store know! 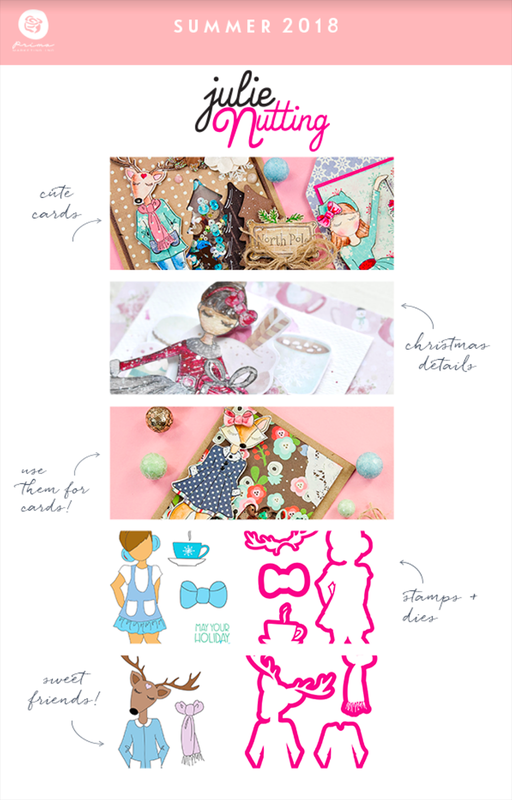 Today's peek include new stamp sets and stamp/die sets for our popular Julie Nutting line. Each character fits a wonderful, winter theme with the cutest details! Stay tuned for the full reveal early next week.